When you retire, you want to live comfortably. 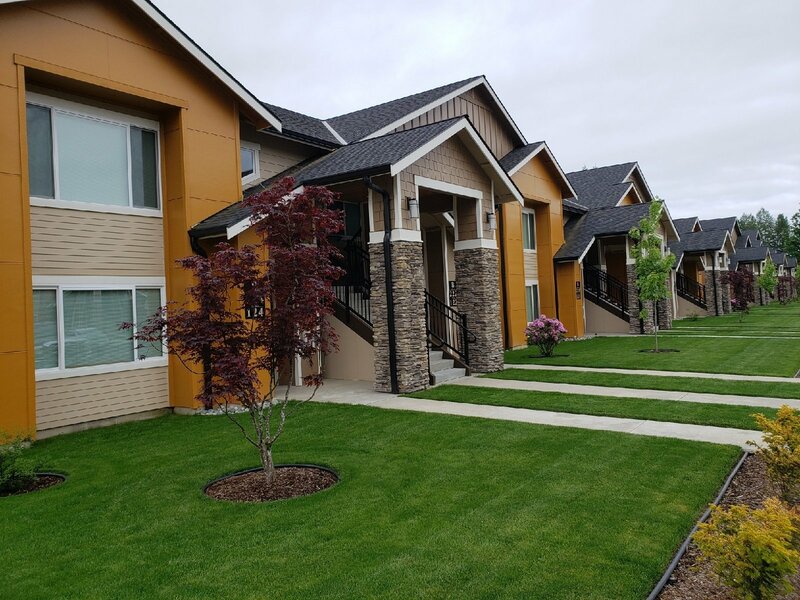 Click here to learn why Sonrise Apartments is the best choice in Marysville, WA to live your best lifestyle. Consider it a modern-day gold rush. The number of people moving to the western United States is at a high, revealing what those of us who live here already know. With views for days, cultural diversity, a hot job climate, and top-tier schools, this is one area that allures visitors, charming them into becoming full-time residents. It’s no wonder, then, that Washington’s population has grown by more than 700,000 people since the 2010 census. This influx is great for the local economy but begs the question: Where’s the best place to live around here? If you’re new to the Marysville, WA region, you’re in luck. SonRise Apartments offers plenty in terms of convenience, amenities, comfort and more. Today, we’re taking a look at what you can expect when you move into this complex and why it’s racking up rave reviews. Ready to learn more? Let’s get moving! Looking to put down roots in the Marysville area? If so, you’ve come to the right spot. SonRise Apartments is nestled in the heart of the city. Comprised of 36 units, the complex spans three separate buildings. Each building is only two stories tall, meaning you don’t have to pull your arm out trying to lug groceries to the top of a high-rise. Each building houses only 12 apartments, adding to the cozy neighborhood feel. You’ll notice the attention to detail as soon as you walk in on the extra-wide steps, designed specifically to make moving a breeze. Now, let’s take a look at some of the features that put SonRise in a class of its own. Gone are the days of lugging your clothes back and forth to the laundromat, coin purse in hand. You can also forget those late-night calls to the repairman, complaining that your decades-old fridge just conked out. Every modern apartment includes a stainless-steel kitchen appliance package, along with high-end wood cortex flooring. Your unit will also feature a washer and dryer system for easy access. The layout is equally functional. From the double-sink vanity in the master bathroom to the deep storage closets, you’ll feel instantly at home. Interested in apartment living, but worried you won’t have enough privacy outdoors? At SonRise Apartments, you’ll have your own private balcony or deck, accessible via a sliding glass door off the master bedroom. This is the perfect spot to sip your morning coffee and begin the day or wind down before turning in. Think you’ll be cramped in an apartment? Think again! All of our units are 1,110 square feet and include two bedrooms and two bathrooms. You’ll have plenty of space to spread out and invite guests over! Your lease is paperless and entirely online. That means you can hop on and pay rent, communicate with the complex managers, request maintenance support and more with just a few clicks. One of the best things about living in Marysville and the greater Snohomish County region is the proximity to some of the most incredible hiking, trail running and biking paths in the state. Yet, you don’t have to get in the car and drive anywhere to enjoy nature at its finest. At the center of the complex lies our Play Area. With slides and climbing frame for children and plenty of grassy spots just begging for a picnic, it’s a spot the whole family can enjoy. Are you a young professional moving to the area to continue your education or further your career? Or, are you a family looking for the best elementary, middle or high school for your kids? In addition, the Snohomish School District features three high schools, two middle schools, 10 elementary schools, and one preschool. It also includes an alternative learning program and a co-op homeschool program for non-traditional students. When you live at SonRise, you’re always near some of the state’s top retail offerings. From hidden, small-town gems to major establishments, you can find everything you need at the nearby Seattle Premier Outlets. Looking to strike it rich? You can also try your hand at the Tulalip Casino and Resort while you’re in town. One of the city’s most beloved local treasures is the Hibulb Cultural Center and Natural History Preserve. Known as “more than a museum,” it’s an interactive spread that includes 23,000 square feet of exhibit space and a 50-acre preserve. The best part? SonRise is less than 10 minutes away. This is the perfect place to spend the afternoon or take out-of-town guests and soak up the rich history of the area. For added convenience, we offer both term leases and at-will leases. With the latter, you’ll pay on a month-to-month basis depending on your needs. This affords you the flexibility to relocate if your plans change. Want to search our available units to see if the right one is available for you? Or, would you like to schedule a tour to walk around an apartment in person? You can do both through our online portal with the click of a button. Residents, property managers, and interested applicants alike can all begin on this page and either log in or request more information based on their credentials. Whether you’re moving from across the country or just down the road, we’re happy to have you. The Marysville, WA region is replete with natural wonders, retail adventures, professional development, educational opportunities and more. The state-of-the-art complex also features modern decor and amenities that fit your budget. To learn more, get in touch with us today. We’ll make you feel right at home.